In the interest of adding more content to my blog outside of standard reviews and Top 5 Wednesday, I thought I’d start incorporating more tags. The first one I found was a Goodreads Book Tag. I wasn’t tagged by anyone to go this, but I still thought it would be fun. I found this tag on ladyxgreywolf’s blog, and although I don’t think she created it, I still wanted to give credit to where I’d found it. 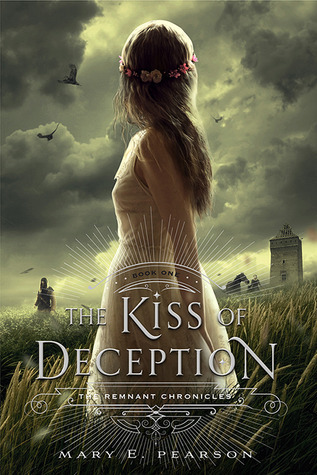 I just finished The Kiss of Deception by Mary E. Pearson yesterday. You can see my review here. If you’re interested in the cliff-notes version, just know that I LOVED this book! It’s a hidden gem in the YA/fantasy genre in my opinion. I’m currently in the middle of First Year (The Black Mage #1) by Rachel E. Carter. I just started Percy Jackson and the Olympians (The Lightning Thief) by Rick Riordan for the very first time ever. I’ve only just started and I’m already loving how much it reminds me of the magic I loved from Harry Potter as a kid. I also am buddy-reading Falling Kingdoms by Morgan Rhodes with a group of friends from Goodreads over the course of this month. 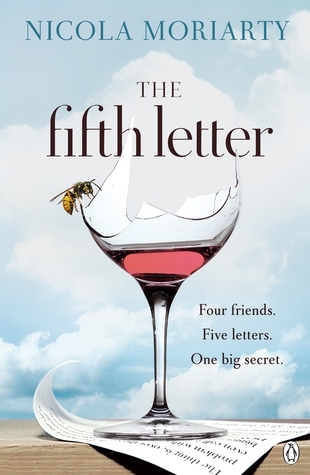 The Fifth Letter by Nicola Moriarty. It’s definitely one that’s outside of my normal wheelhouse, but a few friends rated it highly and the premise sure sounds interesting. Heart of Betrayal is next up on the docket. I can’t wait to see where Lia’s story goes next! After that, I’m planning on restarting John Gwynne’s epic fantasy series with Malice. I also picked up The Golden Compass and its sequels recently, which I’ve never read before and have heard great things about! I think it’ll be a fun couple of weeks for sure! I sure do! One star means I usually DNF’ed the book. I reserve one star for books with a LOT of technical issues – the ones that are just not written well as all. 5 stars means I loved the book, and consider it a new favorite! 6. Are you participating in the 2017 reading challenge? Yes, I am! Because of my many commitments during the first half of this year I set my goal to 50 books. Considering that I am far outpacing even my own expectations, I anticipate raising this to 100 around May or June. Basically anything on the “Want to read” shelf on my goodreads account could be considered my wishlist! I read Six of Crows last month and really am itching to finish out that story, but before I buy Crooked Kingdom, I need to buy Ruin and Rising to finish out my collection of Leigh Bardugo’s novels and read the Grisha trilogy through first. Then I want to start collecting Stephen Erikson’s Malazan books with Gardens of the Moon. 9. Do you have any favorite quotes? JK Rowling will always hold a special place in my heart for getting me into read. I also really seem to enjoy Amie Kaufman and Jay Kristoff. Victoria (V.E.) Schwab is awesome as well. I also really love Brom. Mary E. Pearson is a new favorite I’m very impressed with. Yes, I’m part of a few YA reading groups on Goodreads, and recently joined a buddy-read group for Falling Kingdoms which is a small, private group I had the honor of being invited to by a few friends. I have 15 currently, although I mostly use 11 of them with any sort of regularity. That’s it! Those are my answers. If you’d like to fill this out on your blog, consider yourself tagged. Hope you enjoyed getting to know me a little bit more. 🙂 Until next time! Awesome! Can’t wait to read your post! Ooh you’re reading Percy Jackson!!! Wish I could just erase my memory to re-read the whole series again and experience the first time again :’) Haven’t read HP yet though (Gosh yes I know!!) so still have that. I’m currently reading His Dark Materials and gonna start the last book soon (have exams now so dont have time now :/) and have been loving it so far!! Have a great time reading them :)! Best of luck on your exams!! I need to get started on First Year by Rachel Carter. I keep forgeting to. I’ve heard it’s similar to Tamora Pierce’s Song of the Lioness books. And yea, those Percy Jackson books are fun. Thank you Marie! I can’t wait to jump into it next week. I’ve heard so many great things. The Fifth Letter looks interesting. Think I’ll put that on my ‘to read’ list.